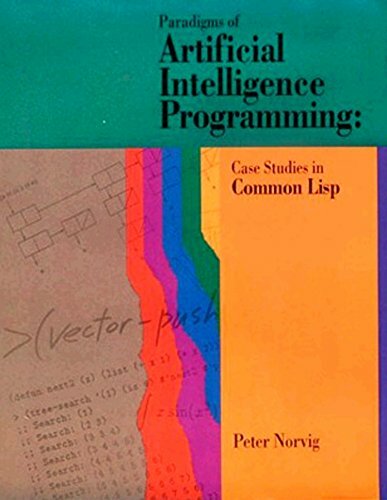 This book is concerned with three related topics: the field of artificial intelligence, or AI; the skill of computer programming; and the programming language Common Lisp. Careful readers of this book can expect to come away with an appreciation of the major questions and techniques of AI, an understanding of some important AI programs, and an ability to read, modify, and create programs using Common Lisp. The book is a self-paced study guide to Common Lisp programming language. It presents Lisp in a general setting, rather than in the context of a special field in which it is used. The text assumes experience with some imperative programming languages. This book is an introduction to Common Lisp. The author considers Common Lisp to be twice as good as Java for some applications. Common Lisp compilers are freely available, stable, and compiled Common Lisp code is very fast. Common Lisp is a modern, multi-paradigm, high-performance, ANSI-standardized programming language. Contents: First steps; Basic topics; Advanced topics; Beyond ANSI Common Lisp; External libraries; Implementation Issues; Case Studies in CL; etc.